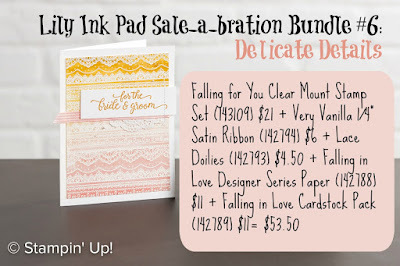 Lily's Ink Pad: So in Love with Delicate Details! I'm not a pink person. AT ALL. 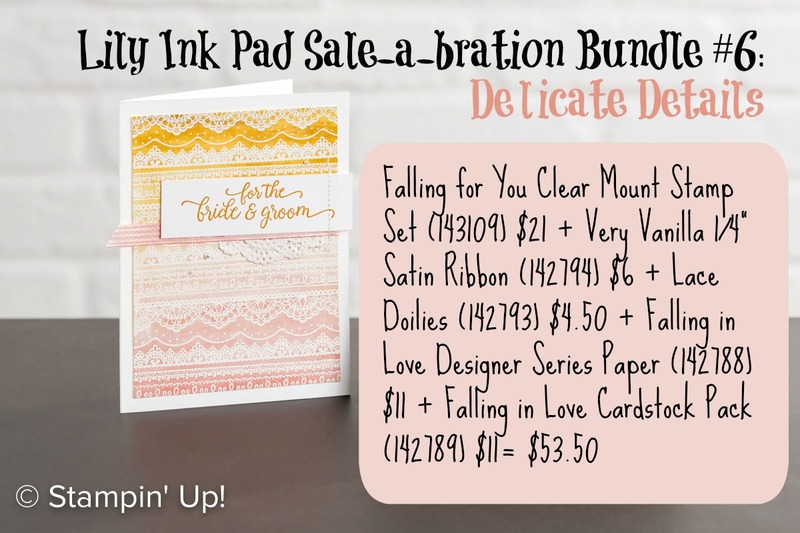 But the Falling in Love product suite is growing on me, even though it contains Blushing Bride. 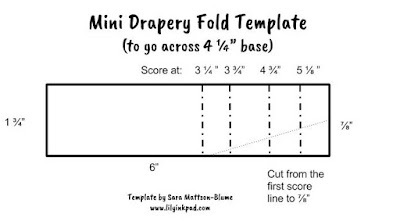 The Designer Series Paper is beautiful and I wanted to use it. My sister will be proud. 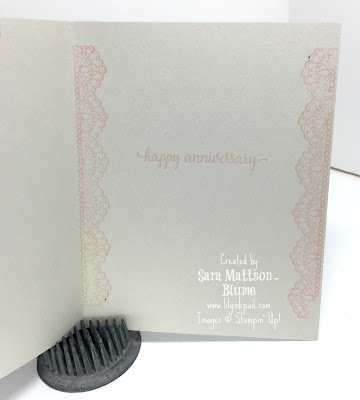 I used the drapery fold technique on the bottom of the card out of the lace patterned paper. 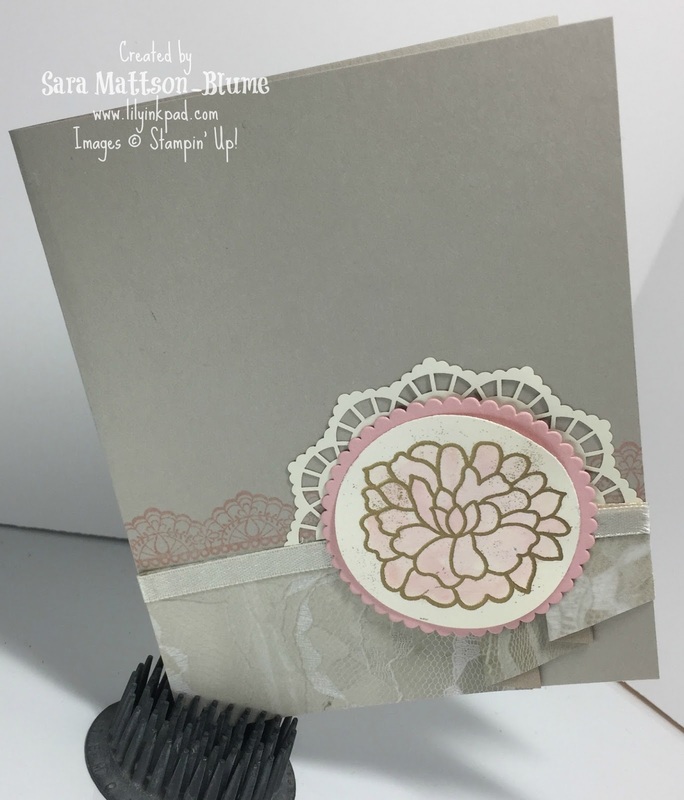 The Lace Doily works perfectly as a background and the Delicate Details stamp adds a bit of color to the base. For the flower, I embossed in gold and watercolored with my aquapainter. The Layering Circles Framelits coordinate perfectly! On the inside, I stamped the sentiment and added a little Delicate Details lace. To make the drapery fold, I scored and cut according to this diagram, then folded it back, forward, back, forward.